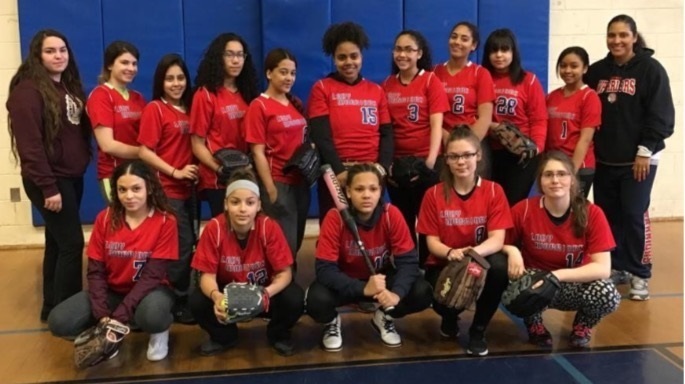 Congratulations to this week’s Showcase Cinemas High School Team of the Week: Central Falls High School Fastpitch! Our girls won 2 games last season, and have dramatically improved to a record of 6-8 and we are now playoff bound. The girls have given back to the community by participating in an Earth Day Clean Up where they cleaned up the community and planted vegetables in the community garden. They also read to kindergartners and 1st graders in the community. They lead a community food drive to replenish local food banks. They also hosted a tournament to raise awareness of breast cancer and collect funds toward a scholarship for a graduating senior. They have worked hard, have persevered and still maintain great grades in school; balancing academics and sports!